I thought I worked long hours in the kitchen but what the team at the Old Course are doing this week is just unbelievable. 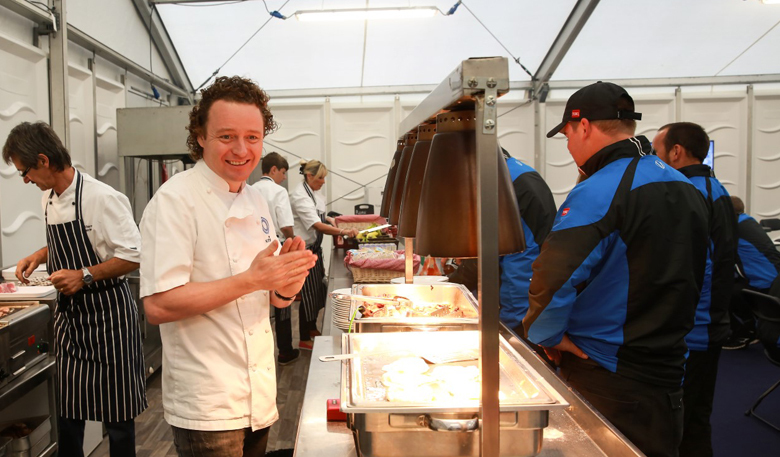 The greenkeeping team at the Old Course, St Andrews Links, welcomed Michelin star chef Tom Kitchin to their ranks to help the brigade prepare for the 144th Open Championship. 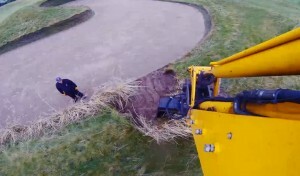 Tom, who is owner and head chef at award-winning The Kitchin, surprised Old Course Manager Gordon McKie and the 60-plus strong greenkeeping team as they returned for a breakfast break after another morning session of preparation on the Old Course. 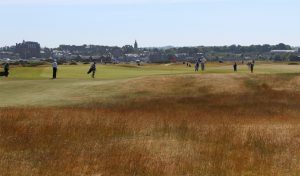 Tom spoke to the greenkeepers at the world’s most famous Links as it prepares for the 29th staging of The Open at St Andrews, about the importance of team work, planning, preparation and most importantly enjoying the moment. The Old Course crew are starting work at 3.30am for morning preparation this week before returning for another shift later in the day with many staying onsite 24/7. 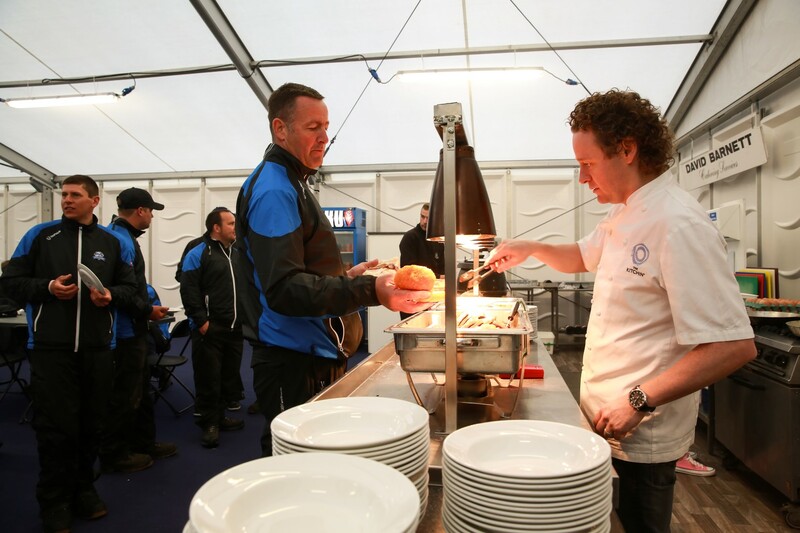 Tom, the youngest recipient of a prestigious Michelin star, got mixed in with the caterers who are delivering meals for the greenkeeping team all week, helping to prepare bacon and egg rolls for the team.